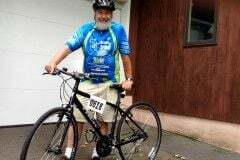 George Allen Keyworth II, known to his friends as Jay (from G-A), died after a protracted battle with prostate cancer in his home in Carmel, CA, on August 23, 2017. He was 77. After an exemplary performance as a student at Deerfield Academy, Jay majored in physics at Yale University and graduated in 1962. He subsequently attended graduate school at Duke University where he completed a PhD in nuclear physics in 1968. Following graduate school, Jay acquired a research position at the Los Alamos Scientific Laboratory (LASL) in New Mexico, where he was heavily involved in defense-related problems in experimental neutron physics. He later became the director of both the Physics and Laser Fusion Divisions, the only director to serve two divisions at LASL at the same time. Jay served diverse prominent leaders in science, politics, and high level corporate business (Hewlett Packard and General Atomic) with dedication for decades. Never shy of controversy nor short on adulation, it was at Los Alamos that he developed a rapport with Edward Teller and was responsible to a large extent for bringing Teller back into the fold at LASL after Teller had been ostracized in considerable controversy for decades. His association with Teller led eventually to an appointment as the Science Advisor to President Ronald Reagan, whom he served with dedication and with still more controversy at a highly critical time of the Cold War. As Science Advisor to the president Jay plunged deeply into development of the President’s Strategic Defense Initiative (SDI, called Star Wars), a major and imaginative project at the very height of the Cold War designed to challenge the Soviet Union. Jay once told me that anyone who does not idolize a hero is like someone having a brain that tries to live without oxygen. Adulation for him was a deep personality trait that he convolved with his considerable imagination and technical enthusiasm, all of which resulted in a profile ideal for serving President Reagan. The two of them developed a special relationship of mutual support and respect that puzzled some of the other personnel at the White House. Although most of his work at the White House involved defense-related work, he once told me that he found it easy to catch the President’s attention on matters of basic science. On one occasion, he told the President that the most important basic science project for America at that time was to secure the Space Telescope, then under development and facing serious danger of being cut. The project was subsequently given lavish support. He said that he considered the two most important basic sciences to support were astronomy and biology, an interesting comment from a physicist. Sadly, only a draft of his professional autobiography survives, as he never completed it to publication. In it, Jay speaks openly of his close association with the President, Teller, and subsequently with David Packard and his long-term service on the Hewlett Packard board of directors, which developed eventually into major conflicts and yes, more controversy in his life. It was publicized on a large scandalous national scale in 2006. Born a month apart, my life-long association with Jay started at 14, when in 1954 we were assigned roommates at the Ashley House, a Deerfield residence filled with eccentric adolescent nerds, and which served as a background in 1955 for four kids who later became serious research scientists. From the very first, we both recognized each other as a couple of obsessed nerds hopelessly destined to careers in science, eventually leading to my becoming a minor back-water observational astronomer and to his becoming a prominent nuclear physicist. Building small astronomical telescopes together at Deerfield, I assumed we would both become astronomers. Fascinated with the idea of space telescopes, at Deerfield I constantly fed him essays by Arthur C. Clarke, Wernher von Braun, and Hermann Oberth (the inventor of the space telescope), all of whom were imaginatively pushing the idea of observational perfection in a space environment and largely laughed at by the establishment. “Wild as a March hare” in adolescence, his boundless physical energy from then all the way to his sad demise in 2017 went a long way in helping him to pursue such high achievements without fatigue. Those of us at Deerfield who knew him well were always entertained with Jay’s ubiquitous and subtle humor, and later we saw that his humor was actually remarkably insightful for such a youngster. Always intense, Jay suffered terribly from a bipolar condition and severe asthma, was only marginally in control of his considerable alcohol consumption, and was well out of control with cigarette addiction starting at “the Bank” at Deerfield. For decades I was convinced that he would never reach 50. With that background, reaching 77 years was yet one more of his considerable achievements. Jay is survived by a son, Prof George Keyworth III; a daughter, Dierdre Hernandez; four grandchildren; and a widow, Marion Schwartz. All of us are missing him deeply. 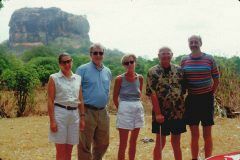 As a scientific colleague, frequent skiing partner, and close family friend for so many decades the loss of Jay Keyworth is huge. For me it all started at Ashley House in 1954. Thank you Deerfield Academy. If classmates would like to share additional remembrances, please feel free to contact me at michael@2516.co.nz. 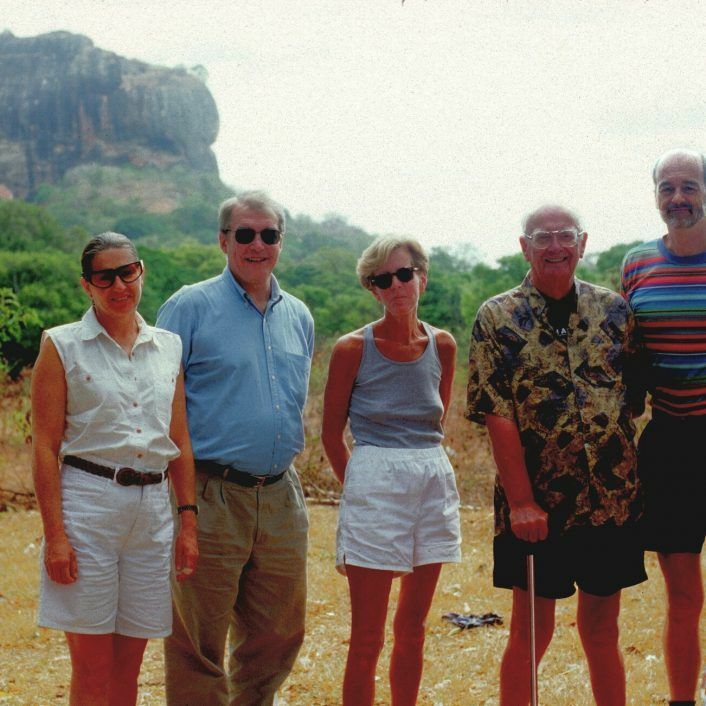 The attached photo includes (from left to right) Valerie Ekanayake, Jay Keyworth, Polly Keyworth, Arthur C. Clarke, and me at Sigiriya, Sri Lanka, in September of 1995.